Crow Patrol: behind Brink’s building! 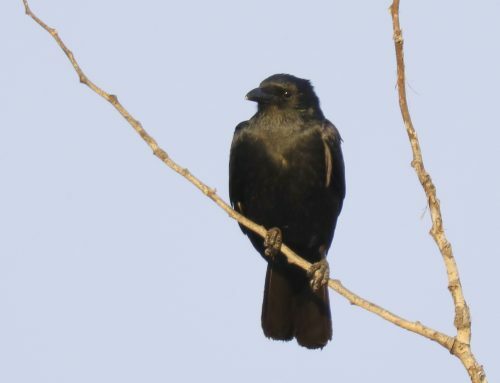 Out on Crow Patrol for a short tour tonight; Dana and Bob indicated Crows seen last two nights in and around the Glenn St. and Shepard St. commercial building area loop located on the south side of Andover St in Lawrence. 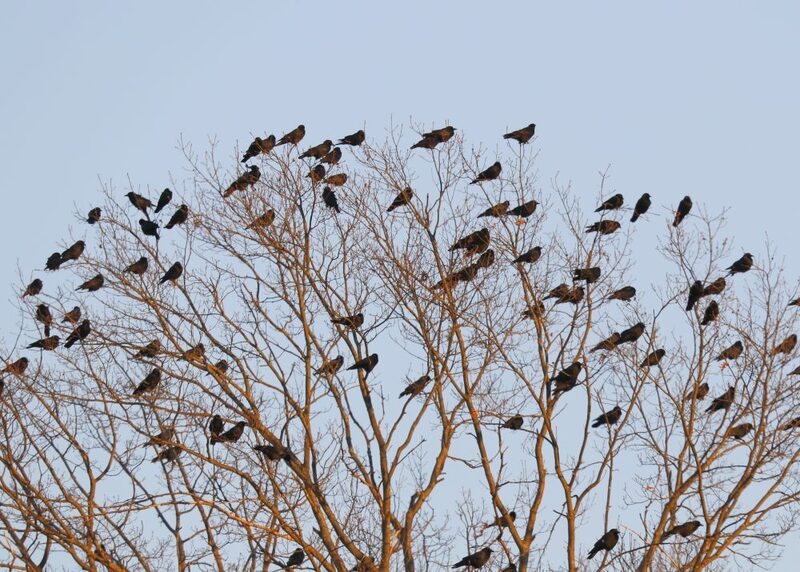 Scouted out the noisy stream of incoming crows and located large numbers in the trees at the end of Power St. 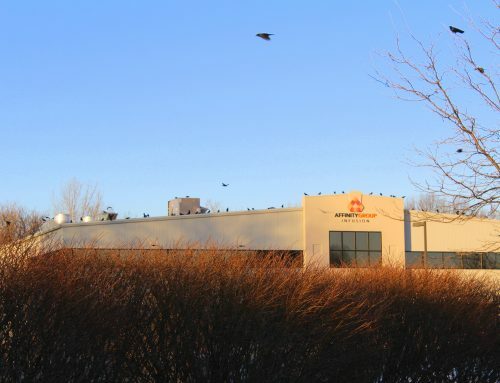 This image shows the Crows, looking east from Power Street below. 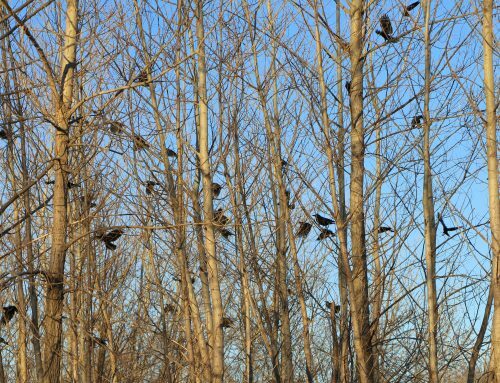 The inbound crows were coming in larger numbers from both the NW and due N from the Merrimack River Area; the vocalizing became much more pronounced as they landed in the trees. 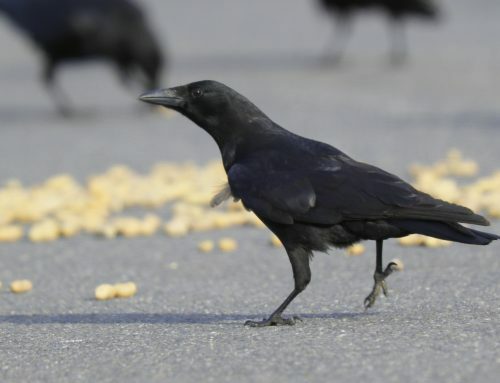 The Crows returned to the Winter Crow Roost by the New Balance building on South Union Street, Lawrence, in early September 2018, and the numbers started to build; nightly gatherings increased to well over 20,000. Bob Fox has provided estimates based on a disciplined counting methodology and years of experience. 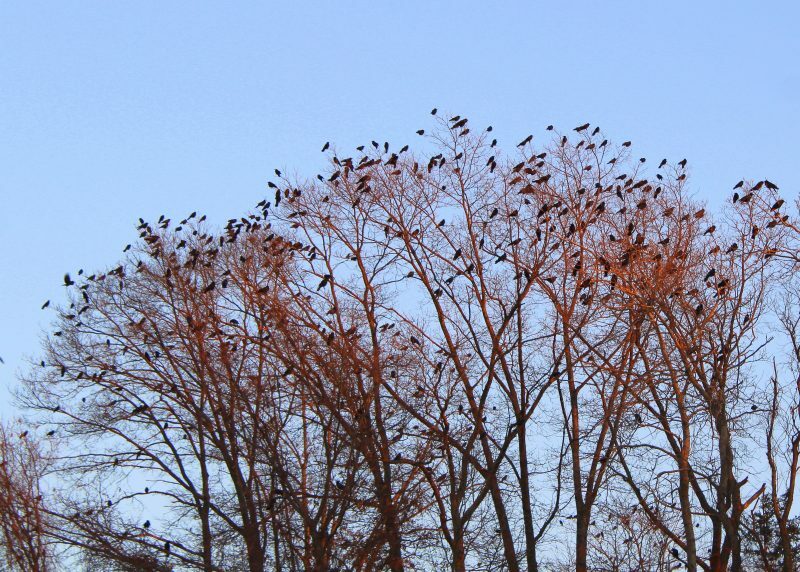 In the middle of January 2019, the nightly Crow Roost shifted to the area just west of Rt. 28 and the Great Stone Dam, which is about 7/10 of a mile west of the New Balance complex. 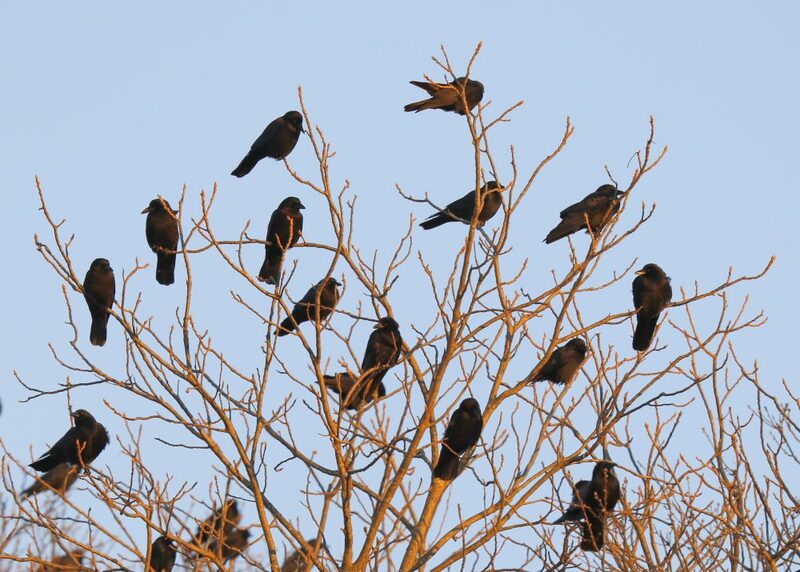 Many nights the Crows seemed to roost overnight on the ice. By the end of January, the nightly Crow Roost shifted another 7/10 of a mile, to just west of the Bashara Boathouse, at the end of Eaton Street, Lawrence, again many nights on the ice. 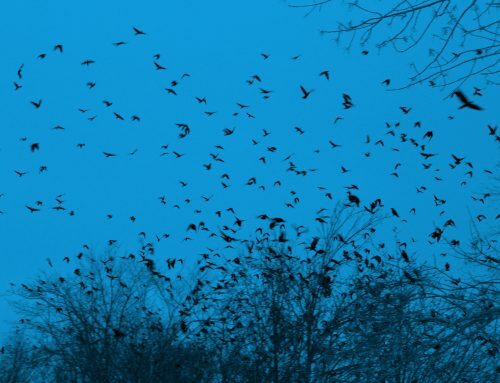 The first weekend in February, the Crows shifted again, to a series of locations, around Glenn St. and Shepard St., south of Andover St. in Lawrence. This shift is about 7/10 of a mile from the last overnight roost location near the Boathouse!